Ancient Evil! Nazi Spies! High Adventure! Spandex! 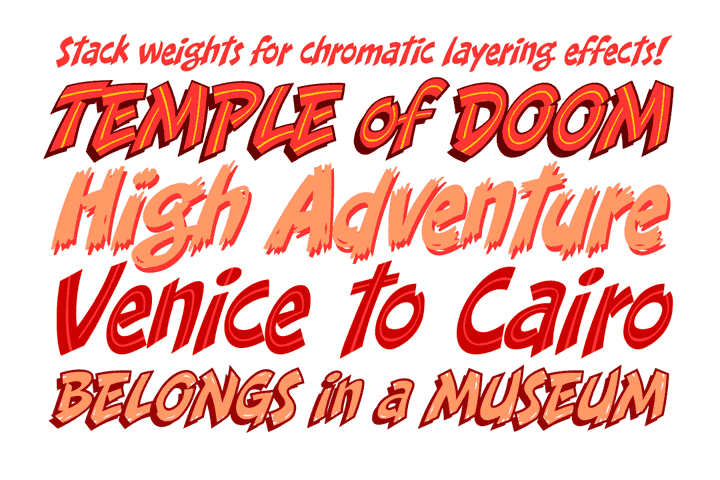 As the sun sets and the sky fades from 100Y, 50M to 100Y, J. Scott Campbell's Warm and Friendly Display Letterforms are already receding over the far horizon in a Dakota, trailing a long broken red line all the way from Venice to Cairo. This font really does not belong in a museum!